If you desire to rekindle the love and hope you felt on your wedding day, this book will go a long way toward making that dream come true. Contains discussion questions and personal reflections at the end of each chapter. My thoughts: This is an excellent book on marriage! So often, as women, we focus on the things we would change about our spouse or buy into the lie that we would be happier with someone else. Rhonda does a wonderful job of encouraging women to put their focus on Christ and making Him the center of their marriage. I liked that Rhonda was easy to relate to and included notes from her husband on each chapter. This is a great book for newlyweds and those of us who have been married for a while. I think it would be great to study as a group too! 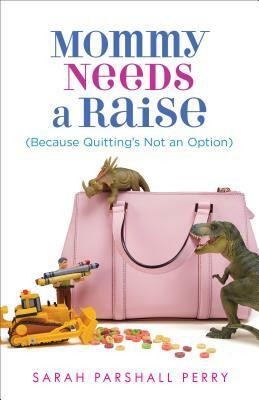 Women know that raising children will be different from climbing the corporate ladder. But nothing can truly prepare them for the mind-muddling world of motherhood. It doesn't take long for a new mom to question whether her tyrannical, diapered boss really understands her value to the organization. Because honestly? She's not always sure herself. With her signature wit, lawyer-turned-full-time-mommy Sarah Parshall Perry says what all new moms are thinking when they trade annual reports for homework help and yoga pants. Perry invites moms to laugh alongside her amidst the "Are you kidding me?!" moments that come with the job of raising humans. This book is story of every mother who gives up one thing to get something better--and ends up finding out what she's worth along the way. My thoughts: While I didn't give up being a professional to be a stay at home mother, I do appreciate a lot of the thoughts in the book. Sarah is a very engaging writer as she shares her journey from board rooms meetings to play dates. 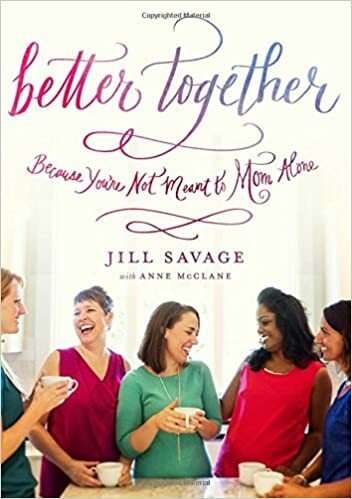 While the whole book is excellent, filled with humor and keen insight, I especially appreciated the last chapter and the reminder to live in the moment, since raising children can seem like you are stuck in the same place for eons, but it really does go quickly. It's deceptive that way. Shannon Malone thought she’d found her happy ending when she married Edmund Ridgeway, but a diving accident on their honeymoon left her in a coma. Waking up to the news that she’s thirty years old would have been daunting enough . . . but she also learns that Edmund has lost his interim battle with cancer and the world has marched on without her. Her gorgeous doctor, Daniel Petros, seems to know everything about her and becomes Shannon’s tour guide into a whole new world of madness where reality television has taken over the planet and everyone’s life appears to revolve around a tiny screen on their cell phones! As Shannon struggles to navigate through the changes—both in the world and in her—she also must discern real memories from imagined ones. Did she really ever wear capris pants and entertain in her living room, or was that Laura Petrie from her favorite classic TV show' And where is her beloved dog, Freeway' Oh, wait! That was Jonathan and Jennifer Hart’s dog, not hers. My thoughts: This us such a cute story! 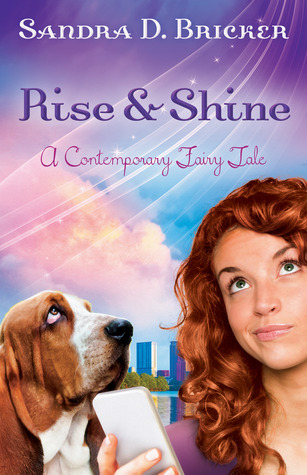 I love retellings of fairy tales, so I had fun reading this book. Sandra does a fun job of bringing the story of Sleeping Beauty to life, with a modern twist. So much could change in ten years! I loved reading about Shannon and how she handled those changes. 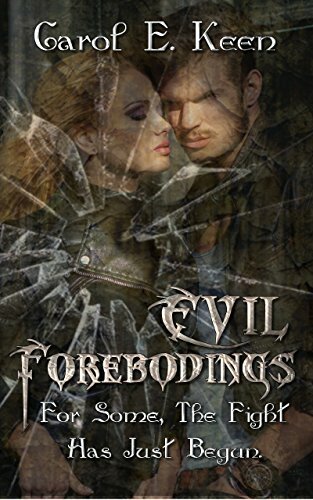 Evil Forebodings: Tiffany Rodgers is the kind of danger that she never dreamed could happen to her in the quiet little town of Newville. She is being stalked and having strange visions. The animals even seem different of late, somehow affected by the changes in the air. Officer Allen Lawrence is drawn to Tiffany, but he has reservations. Is she losing her mind, playing games, or are the things that she is seeing more than just evil forebodings? My review: This was an interesting story! I thought that the story line was fascinating and unique. I loved that Tiffany could communicate with animals and that spiritual gifts and warfare are such a huge part of the story. I look forward to reading more by Carol! About the Author: Carol E. Keen currently resides in Alabama with her husband and family. She spends her time writing, reading, working on photography, and working with her much loved critters. She started creating stories to share with others at the age of two years old. 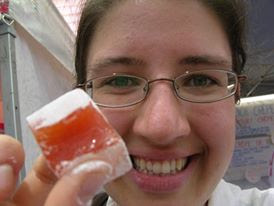 She was published for several years in FAMA magazine (Freshwater And Marine Aquarium) as a contributing editor. She published her first book on CD, called Simply Seahorses. She is overjoyed to be publishing her fiction to share with you now. Carol currently has more books in the “works”. Please feel free to follow her for updates. On a personal note: Carol really enjoys coffee and a good book! Well, I know it isn’t lady like or proper to squeak or go “Eeeeeee!” with excitement, but it’s so hard not to do so. I’m past excited to be on this tour with Celebrate Lit! First I have to say, these are wonderful folks who I’m so very blessed to get to work with! Now, today I’m doing happy dances over your being here for the kick off for my book, Evil Forebodings. It’s my second published book, and my first full-length fiction novel. This book took eight, yes that is 8, long years to complete. What on Earth could take me that long to write one book? It started with my first event called, NanoWriteMo. In my case, it was NanoWrite-less! Who had the “brilliant” idea to have a huge writing contest smack over Thanksgiving and two major birthdays in our family? It was a disaster. It was as bad as saying a night person like myself has to function at 8:00am and be good at it. I was alone in my endeavor and didn’t get far at all. A few years later, I went back to working on this book. This time I had a huge emotional backset from an incident that was just traumatic. I was told, in essence, that I wasn’t good enough to write for a career, and that my focus was on all the wrong things in my life. This came from a published author, who really didn’t know me. I was weighed and judged unfairly, and it was devastating. I learned a great deal though, and pretty much gave up on doing things the way I had been. Forging ahead anyway, my first book, Beauty For Ashes, was published. Then I got to work on Evil Forebodings. This story and its characters have never left me, and I knew I had to finish this book. I’m really pleased with how it turned out, and I hope that you will enjoy it. While I believe all authors put some of themselves into their work, this book had a heavy dose of my heart infused into it in several places. July 27: Our Perfectly Imperfect Life! August 8: Books! Books! Books! I reminded myself that once you start to defend someone, it s difficult to find a place to stop. But I went ahead and took that first step anyway. . .
For President Teddy Roosevelt, controlling the east-west passage between two oceans mattered so much that he orchestrated a revolution to control it. His command was to let the dirt fly and for years, the American Zone of the Panama Canal mesmerized the world, working in uneasy co-existence with the Panamanian aristocrats. It s in this buffered Zone where, in 1909, James Holt takes that first step to protect a mulatto girl named Saffire, expecting a short and simple search for her mother. Instead it draws him away from safety, into a land haunted by a history of pirates, gold runners, and plantation owners, all leaving behind ghosts of their interwoven desires sins and ambitions, ghosts that create the web of deceit and intrigue of a new generation of revolutionary politics. It will also bring him together with a woman who will change his course or bring an end to it. A love story set within a historical mystery, " Saffire" is brings to vibrant life the most impressive-and embattled- engineering achievement of the twentieth-century." My thoughts:A beautiful, historical story! I love how the story and characters come to life, bringing the history alive for readers. I enjoy Sigmund Broewer's stories, and this one was no exception! The time period is interesting with the social and political issues in the early 1900's. The Stream provides the refreshing life-giving water that must begin to flow freely if we are to restore freedom and rebuild America before it's too late. Robison's focus for 2016 and beyond is the restoration of the Christian faith and the renewal of an America whose foundations have eroded. 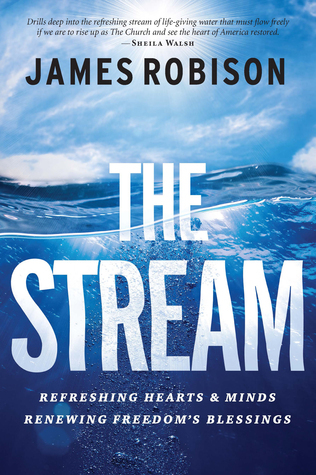 The Stream charts a clear path to personal revival and spiritual revolution in our culture, values, morals, and in government. My thoughts: This book is excellent! I like how James Robinson presents his thoughts in a concise manner, with scripture to back it up. I also like that he wove early American history into the book as well. I appreciated that he didn't shy away from some of the more difficult subjects that go hand in hand with politics and Christianity. This book is full of common sense and was just an excellent, easy to read book. I highly recommend it! I received this book from Worthy publishing in exchange for my honest review. 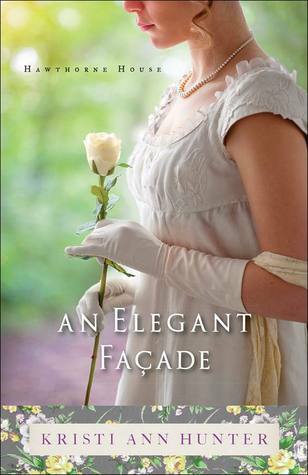 Leta Breckenridge is forced to drop out of college to care for her dementia-ridden mother. 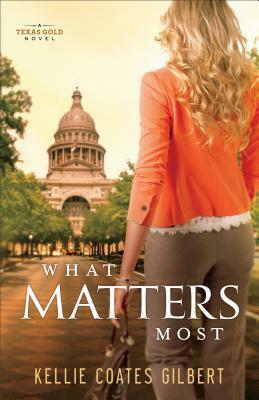 After learning a severely delinquent account may force her mother into a less desirable facility, Leta steps out of her comfort zone and lands a high-paying job at an Austin public relations firm. 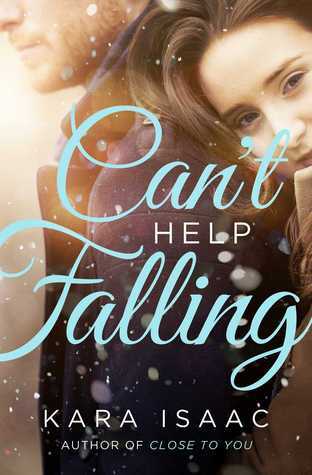 But her dream job turns into a nightmare when she learns the firm is a front for a political opposition machine--and that the research she's been collecting will be used against her new love interest, Nathan Emerson. Nathan is a rising political star being pressured to run a bid to unseat the current governor of Texas. He's already in a relationship with a woman much better suited to be a politician's wife, but he's never met anyone like Leta. Could this feisty, challenging woman hold the key to his heart? My thoughts: This book was an enjoyable glimpse into the world of politics (especially since we have a presidential election coming up) and some of the games that go on behind the scenes. Leta is just an ordinary woman, trying to make the most of the situation that she has been put into when her mother's dementia kept her from finishing school. When she has the chance to land a decent job that will help her get out from the mountain of debt, she jumps at it, little realizing there will be consequences. I've enjoyed all the stories that I have read by Kellie, since she does a wonderful job at bringing to life the characters in her stories, along with their situations. This one may be my favorite yet out of her books! It is 1664 and Patience Terry is devastated to learn that Captain Jeremy Horton's ship has been shipwrecked off the coast of Barbados, with no survivors. She had hoped that Jeremy would someday give up the sea and settle down with her in Southold, Long Island. Unaware his memorial service is being planned, Jeremy is rescued and aboard a British Naval Gunship with secret orders to attack New Amsterdam and claim it for the British Crown. When he makes his surprise return to Southold--and to an overjoyed Patience--it's not the happily-ever-after his beloved had hoped for. 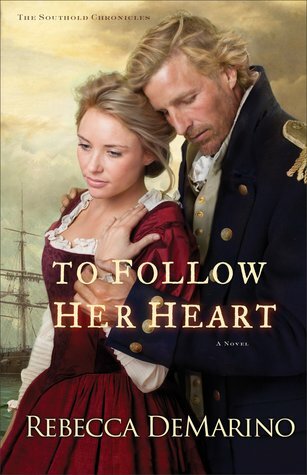 With a finely tuned sense for authentic historical characters and settings, Rebecca DeMarino plunges readers into the 17th century--a world of high seas and tall ships, daring journeys and yearning hearts. My thoughts: This is a fascinating, historical series! I thought that Rebecca did a fabulous job of returning readers to Southold for the last book in the series. While I have read a lot of books about the Revolutionary war and all the history that came after the war, I haven't read a whole lot of stories set in the 1600's, so this series was a treat for me. I loved getting to know Patience and Jeremy as they faced impossible situations. After reading this series, I look forward to seeing what the author will write next! The Israeli fighting techniques piqued my interest after reading the Kristen Conner mysteries. (Somewhat unrelated, but how did I miss that there is a third one?!) I think it would be an awesome self defense style to learn with my daughter when she is older. Robin Hood and, in recent years, Merida and Katniss, have given me a love for archery. I spent hours shooting hay bales with my garage sale long bow as a kid. ;) Now, as an adult, I've toyed with the idea of asking my husband for a bow for Christmas, since he enjoys archery and it would be a fun hobby to do together. I blame this one on the Little House books, which was the first series I finished as a kid. I can't say I am a true homesteader, but I have the heart for it, which is good since my husband turned most of the lot our home sits on into a garden/orchard. ;) There is something quite satisfying about canning! The peaches, from our own trees, that I recently canned. 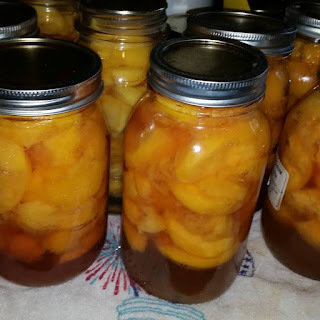 I sure hope they turned out, since peaches are a bit more work than some of the other things I have canned! Is it lame that I actually have one? lol. It is not near this neat, but I thought I needed it when I came across one for a good deal at an estate sale. It is handy to have to store all my games, scrapbooking items, and paper projects. I wish I could truly master it... I think I lack the patience though. Another Narnia induced fetish. They are just fun anyway. I found this book delightful and highly recommend the series! Words can make a difference in a conversation, in a day, and in a life. Fifty-two words are explored in five different devotions each week encouraging the reader to live more fully. This creative approach to daily devotions will renew both the mind and the spirit. My thoughts: I have a few books about words and their significance on my bed stand table, since it seems to be something that I have picked up on the last year or so. I love the idea of this devotion and taking a word each week to focus on with scriptures and thoughts! The authors do a great job of drawing your focus to the depth of each word. I enjoyed this devotion immensely and look forward to going through it again at my leisure! What if there was a real-life invitation to a lifetime of unexpected destinations and adventure? What if your faith was the key? 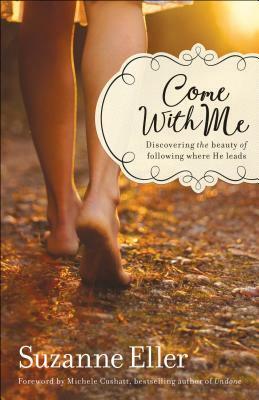 In her warm, conversational way, Proverbs 31 author Suzie Eller shows how your faith is just that. How when you take a step away from the uncertainty, the to-do list, the busy life, the worries and excuses, you take a step toward the One who promises to delight and surprise. Who brings you deeper than you ever thought possible. Two thousand years ago, 12 men answered the call to follow a man they hardly knew--and they were changed in ways they never imagined. Today that same invitation echoes across history, beckoning you to an adventure that will spill into every aspect of your faith and life. "Come with Me." Will you say yes? My thoughts: This is an excellent book that will challenge the reader to answer the call on following Jesus as Peter and the other disciples did. I like that she calls readers to think like the 13th disciple, to be the 13th disciple and answer the call, trusting that God has everything in control, even when life throws curve balls. I appreciated the stories that Suzie shared and how she opened her heart to readers. This book is incredibly encouraging and will challenge you! I highly recommend it. My thoughts: I loved the first book in this series, since it was fast pace and kept the reader on their toes! While this one is every bit as good as Vendetta, I felt like it didn't quite have the same drive. I did like that the mystery took some time to figure out, since there were a lot of different pieces and things going on with the story. 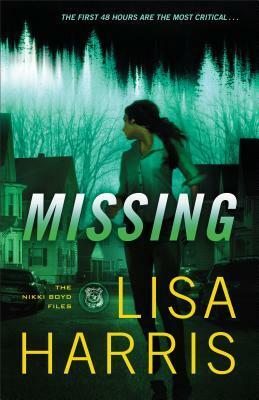 If you are looking for a good mystery series to start, then I recommend this one! I look forward to reading the next book about Nikki! Scripture teaches us to love our neighbors by treating them with kindness and respect. One aspect of kindness includes manners. Parents are looking for fun, creative ways to teach their children polite behavior in a society where rudeness is often the status quo. We believe I Can Be Kind is a great resource for parents, grandparents, and Sunday school teachers as they seek to develop these behaviors in their children. My thoughts: I was drawn to this picture book due to the title, since I have been working on teaching my children kindness. 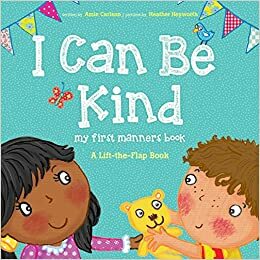 It can be hard to teach children kindness, other than leading by example, though I feel like this book helps. The illustrations are adorable and it's written to engage kids. My daughter loves this book! I like that the book has scripture verses with each page set. The only downside to the book is that is not a board book and doesn't wear very well with young children. But, if you are looking for a good book on manners with scriptures for young children, then I highly recommend this one! It is an adorable book and we love the kid titles that Tyndale puts out. 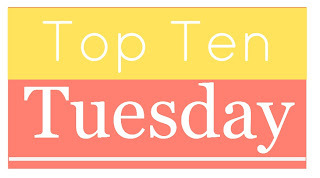 A lot of the books I read are set in the US, so this is a fun list to compile! 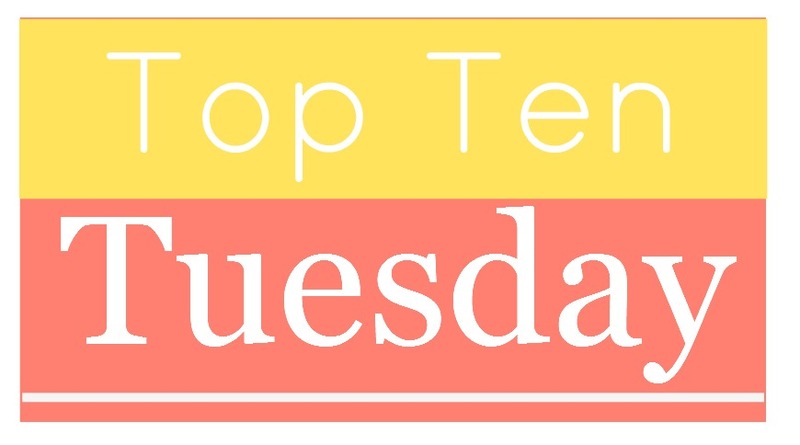 A lot of the books I like set in other countries are classics, so I will split my list between classics and modern novels. 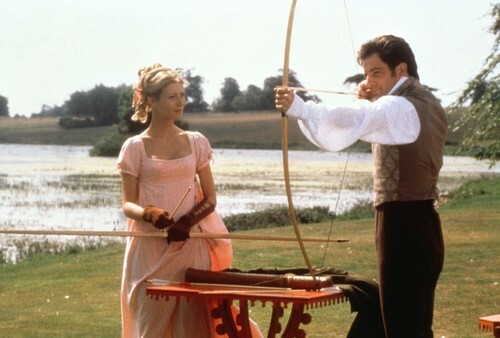 My favorite out of Austen's stories! It has some amazing lines, and I love the ending! It's been a while, but I loved this book the first time I read it! Pretty much my most favorite series ever. I love the humor of this one! This is probably my favorite, since I started with the movie first before reading any of the books. Not the best way to start, but it definitely grabbed my attention and made me want to read the books! Love this one! Tolkien, New Zealand, and a gorgeous romance. What books should I read and add to my list? What are some of your favorites? A practical handbook on how to fight better—together—for your marriage. In Don’t Go to Bed Angry, Deb and Ron DeArmond give you permission to fight. Conflict isn’t the problem, after all; the real issue is how we deal with the conflict. Deb and Ron demonstrate how communication through conflict can safeguard—and even strengthen—your relationship. Immensely practical features including worksheets and discussion questions make this a definitive go-to resource to help you start fighting—together—for your marriage. My thoughts: My husband and I did several sessions of ore-marital counseling before we were married, so a lot of the ideas in this book aren't totally foreign to me. That said, it has been about 6 years since we went through a lot of that stuff, so it was nice to have a refresher course! I appreciate the message that this book has about fighting fair, communicating (I think this was my favorite part, since they have some great tools for communicating better! ), and taking stock of how baggage has affected each spouse. I also love that Deb and Ron are open and honest about their experiences and how that has shaped their message. 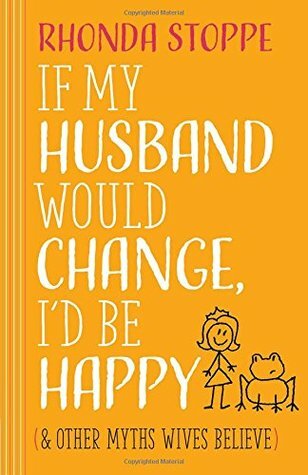 So, whether you have been married for a while or are just tying the knot, I think this is an excellent book to read and apply! I think it would make a great gift for newlyweds. My Review: This book is adorable! I loved getting to know Addison and Logan as they got to know one another. The story is a sweet one, with depth to it. The characters are well written and I like that there is a lot going on with the ranch. This is a fun taste of ranch life! I look forward to reading the other books in the series, since I fell in love with Hart's ranch! About the Author: Rachel Skatvold is an inspirational author and stay-at-home mom from the Midwest. She enjoys writing inspirational romance, devotions, encouraging blogs. Rachel has just finished her first series, the Riley Family Legacy Novellas and is now working on her first full length novel, Enduring the Flames. Other than writing, some of her hobbies include singing, reading and camping in the great outdoors with her husband and two young sons. Addison and Logan’s story was one of my favorites to write because of Addie’s spunky personality (not to mention her tendency to fall into mud puddles J) and Logan’s courage during hard times. This story might make you laugh out loud and shed a few tears but most of all I hope it inspires you to recognize and appreciate God’s simple blessings. Happy reading, friends and I hope you enjoy reading Escaping Reality. My thoughts: This book is excellent! I love that it is set up to get mothers and daughters (or women and girls in general) talking about important issues and ties scripture into the discussions. I love the questions that accompany each walk! While my daughter is still kind of young for this book, I look forward to picking it up again when she is a little older, so we can do it together. For now, it was fun for me to go through and do my answers on the questions. I like that this book will get everyone thinking and stimulate discussion, some deep and some lighthearted. 1. I've known my husband since we were 13, though there was zero romantic interest on either side of our friendship until he came home from college and we both attended a mutual friend's wedding. Catching the garter put ideas in his head. LOL. The funny thing is, I think about everyone saw it but me, since several friends made a big deal about our talking. I guess I can be a bit thick. ;) He had to work to get me to come around, but I'm so thankful he did! We make a pretty good team. 2. I have two children, a girl and a boy. Being a mother is incredible, but it's also exhausting! 3. I sign up for all the summer reading programs for my children. ;) My husband is usually less than thrilled. lol. 5. I adore Doctor Who and wish that there was such a thing as a TARDIS. 6. Having kids brings out the kid in me. I love the excuse to play with bubbles and sidewalk chalk! 7. I enjoy canning/preserving food. There is just something satisfying about preserving food we have harvested. 9. I hated seeing as a teen, but wound up working with my SIL, making doll clothes. I loved it! Bonus: Baking relaxes me. The day before my wedding I baked up a storm! Being a mom is hard, but it doesn’t have to be lonely. Are you trying to do this mothering thing alone? So focused on the kids that you’re hungry for friendships of your own? Have great friendships that you want to make even better? All these things are possible. Dive into this storehouse of creative ideas for how to make mothering easier, richer, and more fun than you ever imagined! My thoughts: No one warned me that mothering would be one of the hardest, most rewarding, yet loneliest jobs that I would ever have. Even with a supportive husband (who I thank God for), it was still a bit of a rough transition. So, I was thrilled to get a hold of this book and read the wisdom that these two ladies brought to the table. They do a wonderful job of sharing from the perspective of an almost empty nester and a mother of little ones. The balance is excellent! I love the personal stories that they shared and how they sprinkle in the stories of others. I highly recommend this book as a gift for new mothers! About the Author: Donn Taylor led an Infantry rifle platoon in the Korean War, served with Army aviation in Vietnam, and worked with air reconnaissance in Europe and Asia. Afterwards, he earned a PhD in Renaissance literature and taught literature at two liberal arts colleges. His publications include three suspense novels, one historical novel, and a book of poetry. He lives near Houston, TX, where he writes fiction, poetry, and essays on current topics. My thoughts: I read Rhapsody in Red, the first mystery in this series, ages ago and remembered enjoying the slightly quirky characters immensely. So, I was thrilled to see that Donn had written another Preston Barclay mystery! Another semester is under way at Overton University. Press and Mara have recovered from solving the last mystery, but are still living under the shadow of some of the accusations that were directed towards them during that time. When another faculty member is murdered, and they are once again seen as suspects, it's up to this unlikely duo to solve the mystery. I love the characters and their sense of humor! Both are quick and witty. I also enjoy the discussions on faith and education. This series is excellent, if you are looking for a good mystery that will keep you on your toes, then check it out! My thoughts: I was delightfully surprised at the depth of the characters in this story! Dylan and Cassie come to life as they struggle to do the right thing in a less than ideal situation. I love the message of faith and how the different characters have their own unique relationship with the Lord. Janet tackles some difficult questions with this story, and will continue to do so in the final book. I look forward to reading the next story in the series! I would recommend reading the first book in the series before starting this one, since it is a continuation of some of the characters stories in the first one. My thoughts: I was super excited to get my hands on this book before it released, since I loved Kara's debut novel, Close to You, and this one had the additional draw of having to do with Narnia. ;) It didn't disappoint! I loved following the adventures of Peter and Emelia as they get to know one another. While I would of preferred to have some of the mystery having to do with their pasts come out sooner, I still thought this was an excellent story of finding forgiveness and being given a second chance. While this is a stand alone novel, some of the characters from Close to You are in this story, so I would recommend reading it first. Not to mention, it's just an incredible story that I highly recommend! The characters in both stories are marvelous and I hope that Emelia and Peter will make an appearance in Kara's next story. This beautiful craft book features distinctive sewing projects dedicated to living, resting, eating, and sharing. Use quality materials—from rustic linen to leather—to create simple ottomans, pendant light shades, a voile bed skirt, and more. 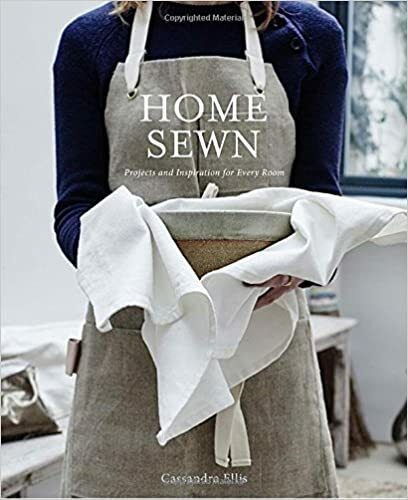 With dreamy lifestyle photography and ideas for every room, Home Sewn is a keepsake for the modern maker. I'm surprised just how much I enjoyed this story, since it was a bit darker then my usual reading fare. She did an incredible job of mixing magic and the mystery of Jack the Ripper. This one is an incredible mix of magic and the Titanic. This one is a fun, chick lit style story with some depth to it. By far my favorite of her books, though they are all excellent. This one is quite different from the afore mentioned book, since it's a mystery. I love that the story has a lot going on. My inner nerd came out with both of her books, since this one has to do with Tolkien and the main character gives tours of the LOTR's movie sets. The hero and heroine also have some fun chemistry. A wardrobe, a tea cup, and an impossible romance. Oh, and plenty of Narnia! So, what books are on your list? Which should of been on mine? Nothing seems to change in Eden Hill, Kentucky, and that’s just fine with Virgil T. Osgood. He’s been content to raise his family and run the only service station in town. But when a new station is set to open right across the road from Virgil’s pumps, he suddenly faces obstacles in his career, his marriage, and his self-worth that he’s never even dreamed of. Cornelius Alexander wants his new Zipco station to succeed and help establish a strong foundation for his growing family. As long as he follows the Zipco guide, he’s sure to be a success―and prove his father wrong. Reverend Caudill wants to be a conduit for grace in his town, but that grace is challenged by the changes sweeping through in the early 1960s. For the sake of this small town, Virgil and Cornelius must learn to get along, but how do you love your neighbor when his very presence threatens to upend everything you hold dear? My thoughts: What a great debut novel! It certainly does not read like a first novel, since the story and characters have a depth to them that a lot of authors lack. I enjoyed getting to know the people of Eden Hill. It's a lovely, small town set in the early 1960's, when life was just beginning to change for small towns. As a small business owner, I enjoyed Virgil's part of the story, with working in his father's business and keeping the legacy going. The taste of small town life is lovely! I like that there are a lot of characters and that each of them had back stories that made them come alive. Stanley is a widower who has spent the last 6 years living with the loss and regret of losing his wife and daughter, drowning his sorrows in a bottle. 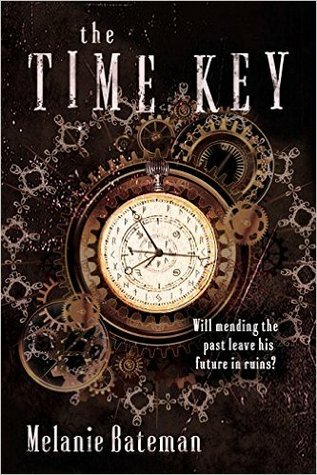 One the night he decides to end it all, he becomes a hero instead, saving a man and becoming the keeper of the time key. With the ability to travel through time, he now puts himself and those close to him in harms way. This was an interesting story, since it mixes time travel and fantasy. The characters are unique and interesting, and the plot has some unusual twists. If you enjoy time travel and surprising stories, then I recommend you pick this book up! Do you long for serenity and refuge, peace and hope? Are you seeking a deeper spiritual life through a closer relationship with God? If you’re tired of dwelling in busyness and noise, then perhaps one word a day can change your life. Award-winning author Lucinda Secrest McDowell knows that if you spend time each day turning to God’s Word for wisdom and guidance, your faith can flourish and grow. Through short and inspiring readings, McDowell unpacks a single word—such as mercy, beauty, gratitude, or grace—to reveal a biblical blessing or challenge relevant to where you are. 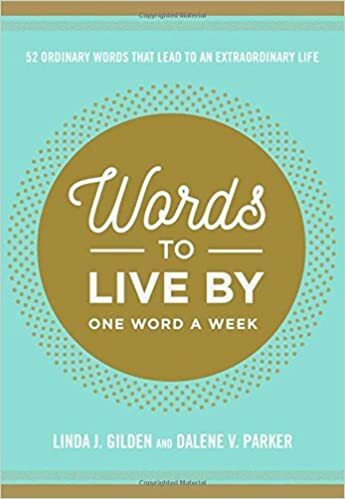 Full of stories and illustrations to empower you to live the word you have just read, each devotional ends with a benediction, written as if God were speaking directly to you. These “dwelling places” that offer the joy of God’s promise and presence cover four seasons: fall, Advent, Lent, and summer. Whether in the midst of busy holiday schedules, holy days, ordinary moments, or changing seasons, a deeper faith can be as simple as a single word. My thoughts: I enjoyed this thought provoking devotional style book. The simplicity of taking a word and centering thoughts around it is excellent. This was just what I needed at this point in my life!